My youngest daughter got the book, Mix It Up, by Herve Tullet for Christmas last year along with a Melissa and Doug art kit. It was an awesome gift though she was kind of young to "get it." Both girls loved reading the book throughout the year. It is is all about mixing colors but it is interactive and has you tap on the pages and shake the book and squish the pages together to make you think you are actually mixing the colors. The girls love it and I knew I wanted to include it in our color and shape unit. I wanted K, my oldest, to practice mixing the colors. 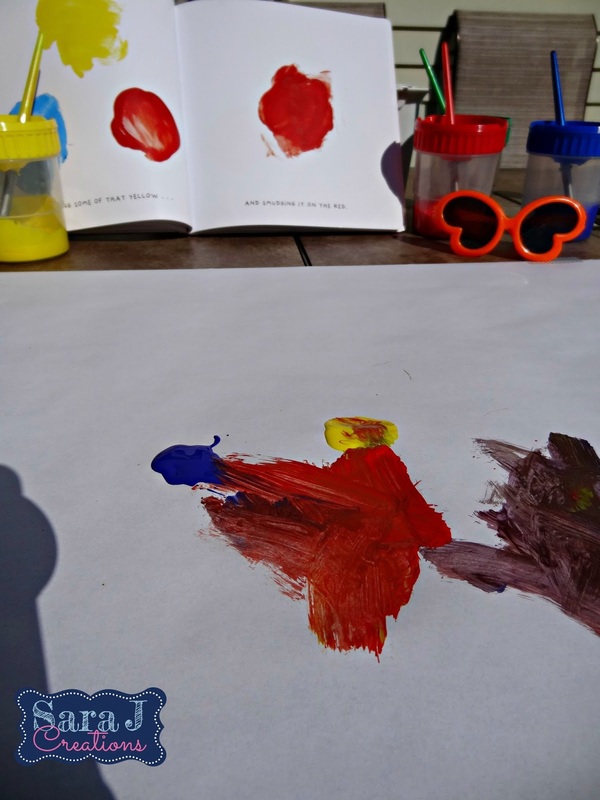 I figured M, the almost two year old, could have fun just painting and mixing colors in her own way. 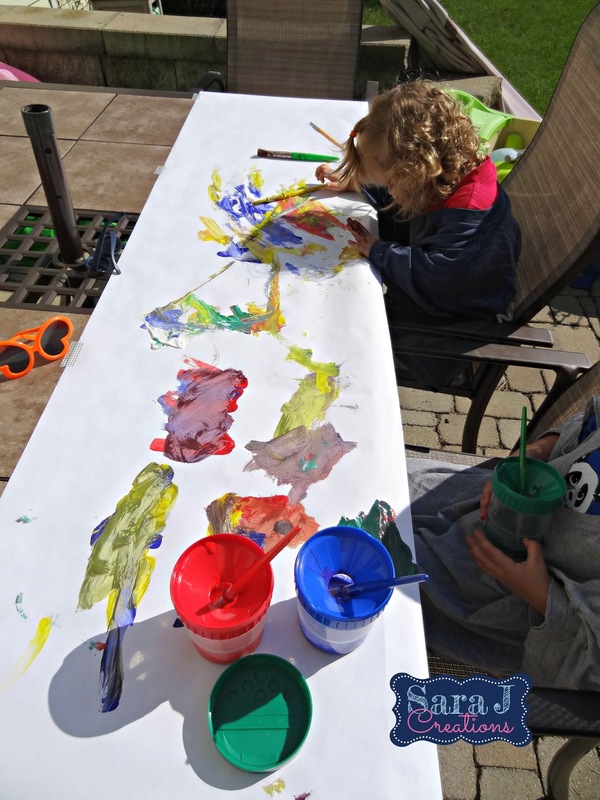 Since it was a beautiful day our, I decided we should paint outside. Sorry for the crazy shadows in these pictures. I tried to avoid them as much as possible but it was SUNNY and hard to find an angle that didn't create a shadow. 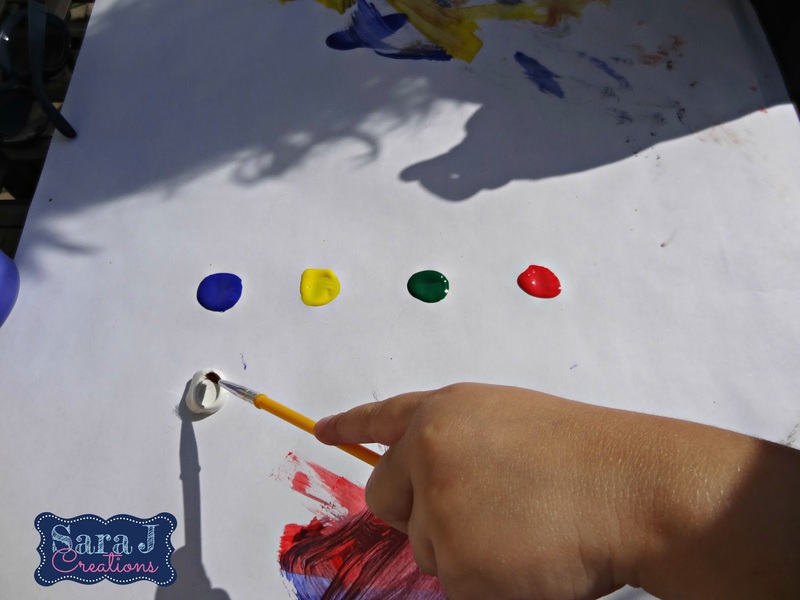 We started at the beginning of the book and went through mixing the colors like they did and then we would turn the page to see if our results matched. 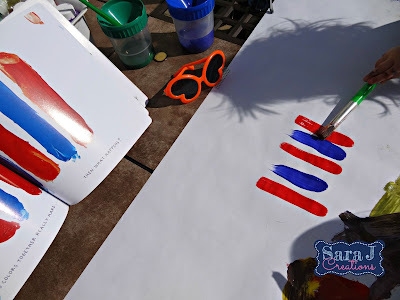 We started with yellow, blue and red and mixing different combinations of those colors. Our paint didn't do a fabulous job of mixing and ended up brown pretty fast but K still got the idea. I would put the paint on the paper like it was in the book and then she would practice mixing to see what happened. After mixing colors, we worked on adding white to colors to make them lighter just like they showed in the book. We skipped making them darker because I couldn't find my black paint. M just painted on her own and I would add new colors once she got restless. And then she started fussing and crying because she wanted something and I didn't know what it was. I thought she wanted the book closer and was mad that big sister had the book in front of her and was getting my attention. I told her she couldn't have the book while she was painting. 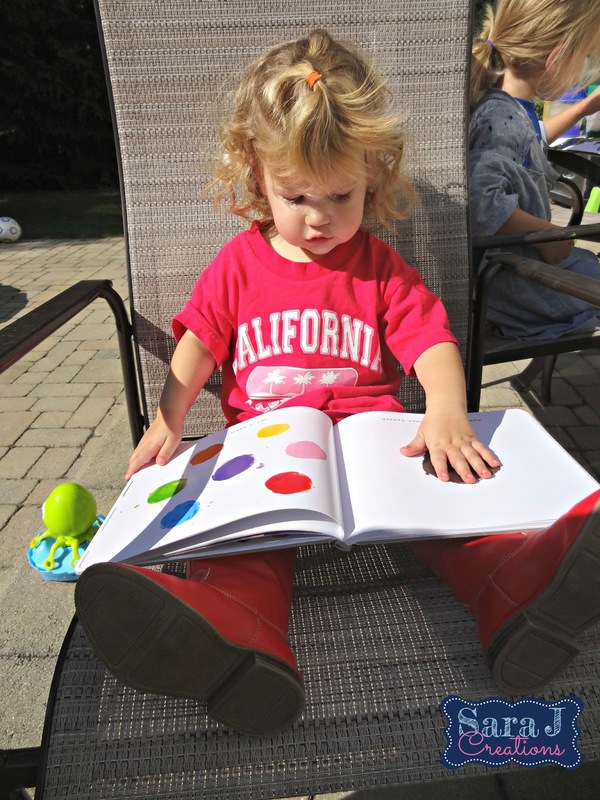 I finally figured out what she wanted to read the book. Not paint. My little bookworm. She happily read the book (and kept saying Tap, Tap, Tap like they do in the book) while big sister explored paint on her own. I love being able to use literature to make connections. 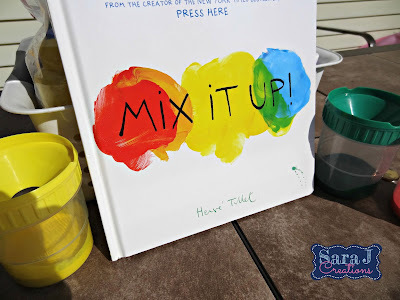 This book was perfect for an art project and lesson on color mixing. 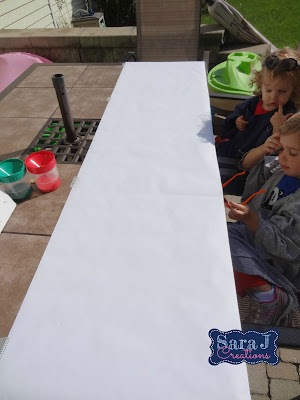 If you want to do it without the mess, you could add paint to a ziploc bag and practice squishing and mixing that way.